The Wayne Bennett era is officially over as new Coach Anthony Seibold looks to reinvent the wheel at Red Hill. 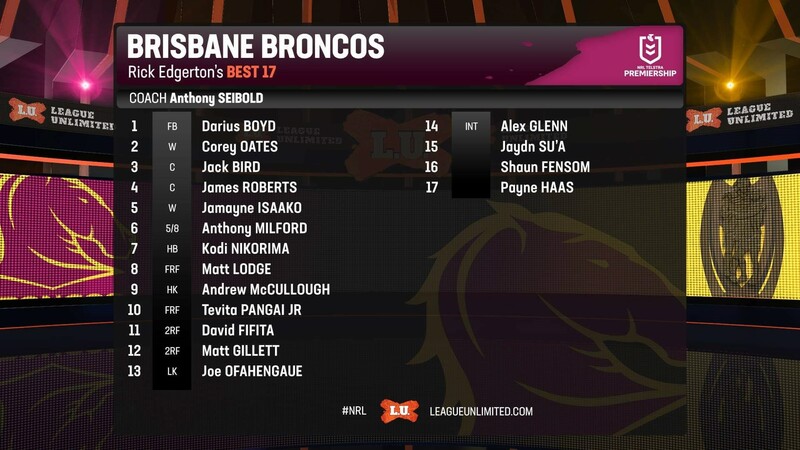 After enduring a mostly inconsistent season in 2018 sitting in the lower part or just outside the top eight, the Broncos surged late in the season and chalked up a couple of strong victories against top four teams, the Rabbitohs and Roosters on the back of some young tearaway forwards bursting onto the scene. The late charge had many believing they could cause some serious damage in the Finals, but ultimately they finished the season the same way they began it, a pummelling at the hands of the Dragons. The following months would be fuelled with constant media speculation around Bennett's future at the helm and whilst the cagey old character dug his heels in for as long as he could, the inevitable was finally announced in early December that the coaching swap between he and South Sydney coach Anthony Seibold was indeed on a year early and it wouldn't take long for Seibold to make an impact. Broncos players could have been forgiven for wondering where they were when Seibold started pumping the techno music out at their first training session after years of working away under the watchful and stern eye of Bennett. It's no secret now that Seibold likes to do things his way. In his first year as an NRL coach, he quickly revamped the Rabbitohs attack taking them from 11th on the ladder in 2017, to 3rd last year and one game short of a Grand Final appearance. Just how he manages the Broncos attacking structures who are still in the absence of a dominant game manager in the halves will prove key to their chances this year. Hungry, hard-running, tearaway forwards with young legs. The most positive sign to come out of last season was the emergence of names such as Joe Ofahengaue, Payne Haas, Jaydn Su'A and David Fifita, not to mention the breakout season of a barnstorming Tevita Pangai Junior who showed Jason Taumololo like potential. 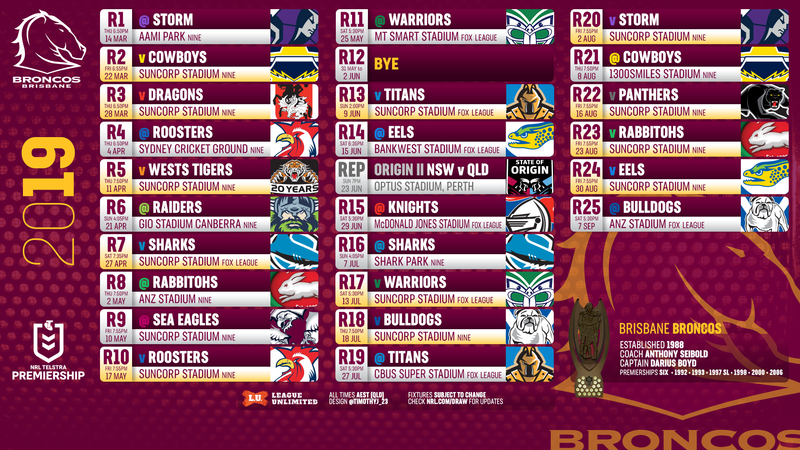 In the wake of Sam Thaiday's retirement and the departures of Korbin Sims and Josh McGuire, it will be up to this young brigade of tearaways to get Brisbane well and truly on the front foot and provide the platform for Seibold's revamped game-plan to take effect. Lack of a genuine game manager. With Anthony Milford and Kodi Nikorima set to line up again in the halves, the Broncos still don't have the great organizer needed to guide the team around the park and play field position when the going gets tough. As good as their young forward pack looks, there will be times when the rigours of a full NRL season will test them this year. 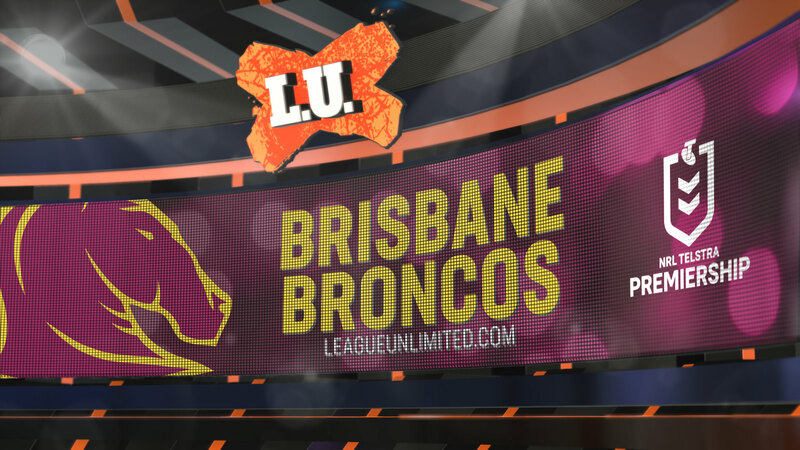 In the elimination final that ended their season last year they were humbled by an experienced Dragons pack and the Broncos halves were unable to turn the screws and get them back on track. It's hard to think of a more naturally gifted footballer in the competition. The diminutive number 6 has blistering pace off the mark, can step off both feet and has a deceptive little dummy that can all see him into the backfield in the blink of an eye. Last year, in the absence of a dominant half he was thrust into the role and often looked caught in two minds as a result. Whilst he showed some improvements in his kicking game and got the team around the park the best he could, he didn't quite put the pedal to the metal with his natural running game. Just how Coach Seibold chooses to fit Milford into a revamped attack remains to be seen, but ultimately Milford rising to the next level and doing it consistently week to week will prove key to the Broncos 2019 prospects. With the never ending production line of boom Broncos forwards in full swing, watch out for the names of Carrigan and Flegler to debut at some stage in the near future. Carrigan enjoyed a strong season up front for Wynnum Manly in the Intrust Super Cup last year averaging 143 metres and 30 tackles per game and showed his leadership qualities captaining the Queensland under 20's to victory over New South Wales. Flegler also made an impact at Intrust Super Cup level last year for Souths Logan with his no-nonsense style of play earning him selection for the Junior Kangaroos. Still only 19, but his raw tough approach to footy has many north of the border comparing him to club stalwart Shane Webcke.